As part of a Special Investigations Unit investigation, on Wednesday, November 15, 2017, at 7:30 a.m., Constable James Forcillo surrendered to police. He is scheduled to appear in court at 1000 Finch Avenue West, on Wednesday, November 15, 2017. 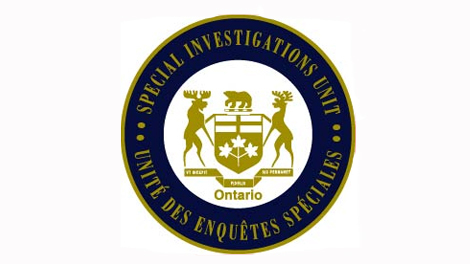 For more information, please contact the Special Investigations Unit at 416-622-0748. By law, the Toronto Police Service cannot provide further detail. This morning, based on information gathered by SIU investigators, Constable James Forcillo was arrested by the Toronto Police Service for breaching the terms of his release on bail. In January of 2016, Cst Forcillo was convicted of attempted murder in relation to the shooting death of 18-year-old Sammy Adib Yatim in July of 2013. He has appealed the decision. Steroid use and ” ‘roid rage ” never came out at the trial for this loser… And the Toronto police force’s overall problem with drugs is just beginning to come to light with the recent fentanyl overdose and police coverup. Police are behind a great deal of cover ups even like what happened with the abuse in the Catholic Church. I saw a movie on line about the orphanage in Newfoundland and it was an act but I saw at the end about the cover up done. I was crying thinking about what went on and still going on in Cornwall and elsewhere and you can never trust the government just like they assassinated JFK. Hugger this is no conspiracy at all and I can tell you that the cops and lawyers conspire all the time to do evil things as well as the Catholic priests, the Vatican, the government, Hollyweird , etc. If people knew the real truth about what is going on they would not set foot outside of their homes. Wasn’t referring to cops / lawyers. Jamie I just came off the old 1966 movie with Bob Hope, Phillis Diller, Elke Sommer and others and laughed myself to pieces. Now I am not laughing I just fell on the death of actor David Cassidy who is a little older than myself. It doesn’t pay to drink nor do drugs or life in the fast lane. Well jules laugh away because life is mighty short he also had Dimentia. Too young to die. Simon you would be shocked about what is going on with the cops everywhere. There are plenty taking drugs and it is enough to drink at the things that they have to face in the big cities. Oh My God. I am living in one of the most notorious areas and Ottawa used to be THE LEGENT OF SLEEPY HOLLOW but no more. I sure wouldn’t want such a job.